It’s been just over a week since I left Nepal. After having fish and chips in a freezing cold Glasgow with my grandparents, it’s hard to fight off the feeling that this summer has all just been an amazing dream. I arrived at Lalgadh in Late June after driving cross country from Kathmandu with Dr Hugh Cross and Leprosy rights campaigner Ross McMullan. The journey took us over the mountains to the planes of the Terai, a breath-taking and adventurous trip. At one point we were delayed for 2 hours by a car hanging precariously over the cliff edge of a mountain road! Upon arrival Ross and I were pleased to see that Lalgadh Hospital was in fact more beautiful than the pictures had made out. The first thing that stood out was the variety of trees and flowers and the fantastic gardening and landscaping that give Lalgadh so much of its character. Slowly we made our way into the working elements of the hospital and were introduced to the staff and patients of Lalgadh. This was a very enjoyable aspect of our orientation, as we had many insightful conversations with staff, but were also introduced to the Nepali tea break and the thick sugary tea they serve (something I really miss!). After gaining an understanding of how the clinical side of the hospital operates and meeting the people who keep it going, we soon were being introduced to the other arm of Lalgadh, which operates via the Community Development Department (CDD). We were brought to several relatively poor villages in Dhanusha district and other nearby districts where Lalgadh runs its ‘Village Alive’ and RECLAIM projects. These trips provided sobering insight into the lives of rural Nepalese people and furthered our understanding of the kinds of challenges and daily obstacles these people face. 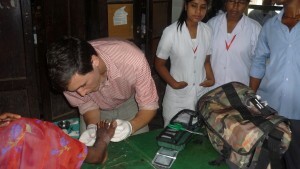 After Hugh and Ross left I began to further my orientation and understanding of the Hospitals working style and investigate the clinical management of leprosy. This involved shadowing various clinicians and joining the ward rounds. As a podiatry student, I found the innovative methods employed at Lalgadh fascinating. The first thing that struck me was how efficient the staff at Lalgadh are and how they manage to provide a high standard of care at sustainable costs. I spent a large amount of time at the wound care department where I felt quite at home with the fantastic clinicians Gyanok and Pinky. 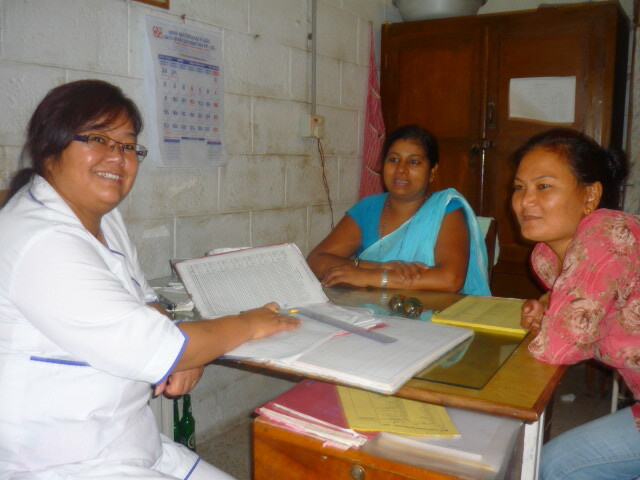 I also had the pleasure of spending a day at an outreach clinic with one of the prevention of disability (POD) teams. This provided to be both an educational and terrifying experience. Before heading out I was asked if I could dress foot wounds, as a podiatry student I naturally felt quite capable in this area and offered to assist. In the afternoon session at the POD clinic near Janakpur, I was given my scalpel and patient to debride and dress the wound, however, I had not banked on there being 5 nursing students from the local nursing college watching me as I worked! In the sweltering heat under the scrutiny of the nurses I debrided the wound, but when I was handed the dressing materials, I was shocked to see only gauze available. In the NHS at home, a variety of adhesive dressings are available, these adhesive dressings are so well designed that they require no skill whatsoever to apply. I attempted to dress the wound with gauze, trying to remember what Gyanok had shown me, but with no success, and under the eyes of the nursing students. Negandra, one of the POD paramedics, then demonstrated skilfully what you can do with gauze by creating a secure and very functional dressing, while making it look quite effortless. At that moment my face was very red, both because of the heat and because the nurses had seen how bad I was with gauze! Later, after spending more time with Gyanok and Pinky, I was taught the right way to dress a foot wound with gauze, a great skill which looks like it has sadly been lost from NHS podiatry. My main purpose in Lalgadh was not to observe the treatment of the foot in Leprosy, but to undertake a short research project investigating the beliefs people affected by leprosy hold regarding their foot wounds. Here I worked with Kiran, the report writing councillor and interviewed 22 patients over 6 weeks. Each interview was very indepth and took around an hour to conduct. This aspect of my time at Lalgadh was very rewarding, through the interviews I was able to get a new kind of insight into the lives of patients. These interviews covered many areas, not just the patient’s health beliefs, rather they also sought to gain useful information about patients’ lives in general. As may be predicted, these interviews were often shocking, with patients often telling of crippling socioeconomic conditions and powerful social stigma. As the interviews were long and detailed, involving the drinking of much mango and lychee juice, there developed a sense of knowing the patients on a new level, further enhanced by the small size of the inpatient department and the fact that I saw these patients almost every single day. It was with much sadness that I said goodbye to many of these patients on my last day, aware that while I was returning to the glitzy skyline of Manchester and my nice flat and student bursary, many of these patients would be returning to the same socioeconomic and stigmatizing conditions they left when they were admitted. When I was not investigating patient beliefs, I was usually trying to observe more aspects of patient management. I enjoyed watching and joining in with septic surgery with the fantastic and hardworking doctors; Dr Lama and Dr Yamuna. These doctors where really quite inspirational people, friendly and keen to teach, they provided to be great folks to shadow and learn from. I also became good friends with the expert paramedical diagnostician Ashok. I spent many mornings and afternoons with Ashok, whose expertise lie very firmly in dermatology. Ashok provided many interesting hours explaining the subtleties of differentiating benign fungal infections from early leprosy skin lesions and served to expand my knowledge of dermatology enormously. During my stay I also got to know several other medical students visiting the hospital. This provided a great opportunity to share knowledge and also led to trip to Chitwan National park. During my last week Hugh Cross returned, it seemed appropriate that I should catch a lift with him back to Kathmandu, back over the same mountains and adventurous terrain. This was the hardest week for me, saying goodbye to staff and patients made my heart a little heavy, however I did vow to return to Lalgadh at some point over the next few years. 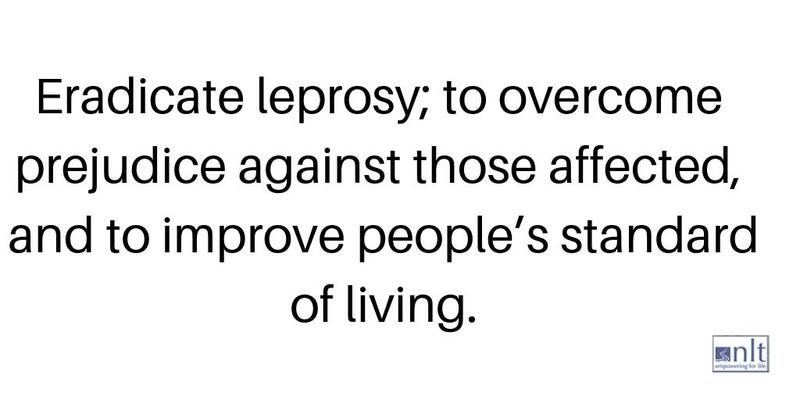 Reflecting on my stay over the last 2 months, I became quite sure that I would like to work with leprosy affected people again in the future. There is a great need for specialised foot care in leprosy and this is an area I can see myself gravitating towards. The morning I left was very strange, as I felt quite comfortable in Lalgadh’s green leafy grounds and felt a longer stay would have been very welcome. Now that normal student life in Manchester is starting, its odd but pleasant to reflect on my summer at Lalgadh. The climate, colours, smells, wildlife and people of Lalgadh are still strong in my memory, and I look forward to being reunited with them.